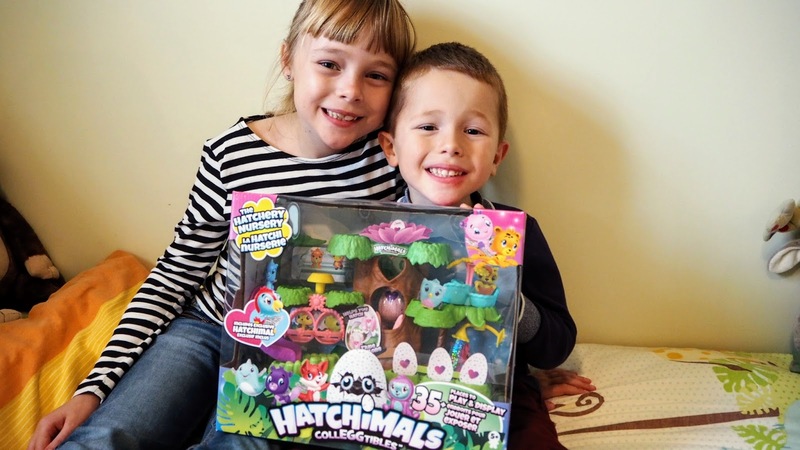 We were recently lucky enough to be sent the Hatchimal Colleggtibles Hatchery Nursery to unbox and review. 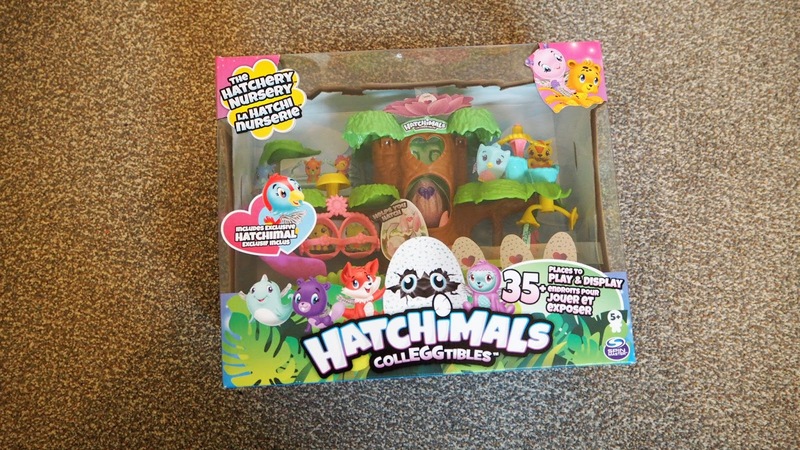 If you are a regular to our blog and YouTube channel you may have read our previous review of a Hatchimal Colleggtibles toy here. If you have you will know that my children Annie and Freddie love these toys. They were therefore excited to open this toy and get playing. 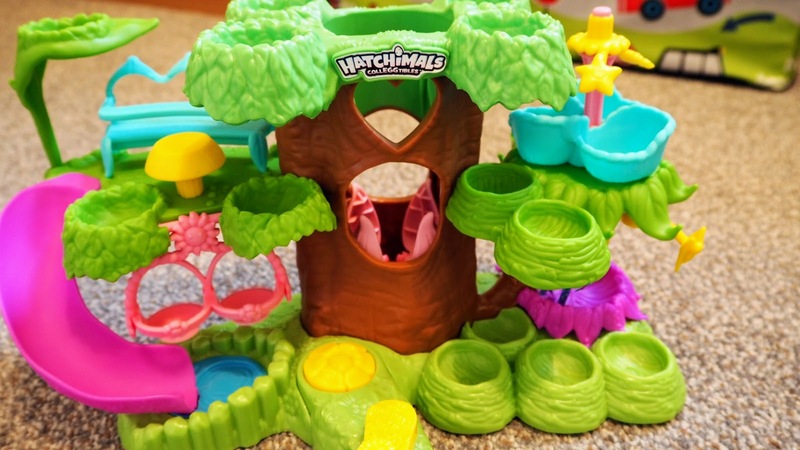 Hatchimals Colleggtibles are an impressive set of toys that all revolve around the mini plastic creatures that each come inside a cute little 'blind bag' egg. You can buy the eggs individually or in various sized multipacks or get them inside toy sets such as this Hatchery Nursery. The eggs ‘hatch’ by being cracked open just like a real egg, and you then discover which character is inside. 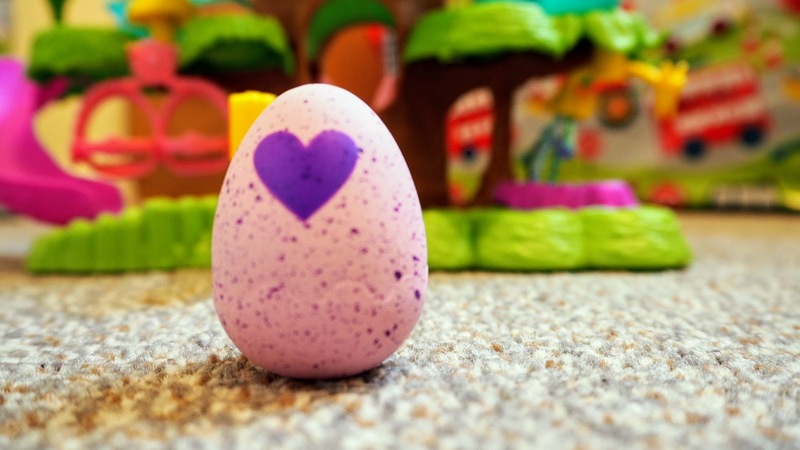 Normally you do this by rubbing the pink heart on the front of the egg until it changes colour at which point it will be soft enough to crack. The wonderful thing about the Hatchery Nursery is that it includes a lift, or elevator if you speak American as my son often does (thanks YouTube), and as your egg travels up in the lift it cracks open. This was exciting for the kids to try however, as the set only comes with one egg you would have to collect more to get a lot of use out of the lift. Not to worry though, there are many more ways to play with this set. 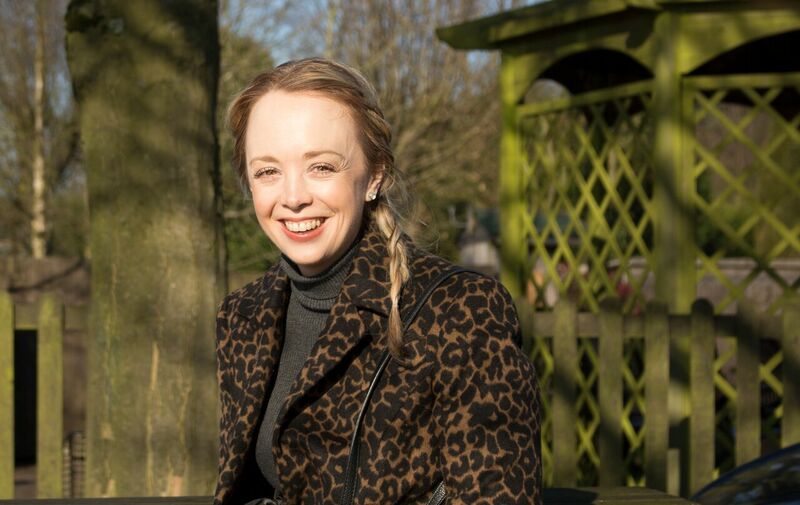 Your characters can hang from the trees, take a rest high up in the tree top nests, relax on the high chair, take a spin on the roundabout, swing on the double swing and slide down the slide. If that weren’t enough they can also take a shower. This set is aimed at children who are five plus which I believe is a perfect age range suggestion. For guidance Annie is eight and Freddie is five and they both enjoy this set. It is a fun toy set that is well made and will be very appealing to children. It also gives your child the option to start a collection by buying more eggs and characters. A single egg is priced at around £3 so is a great price point for avid collectors. The recommended retail price for this set is £29.99. Please note we were kindly sent this item for the purpose of this review, all opinions are mine.